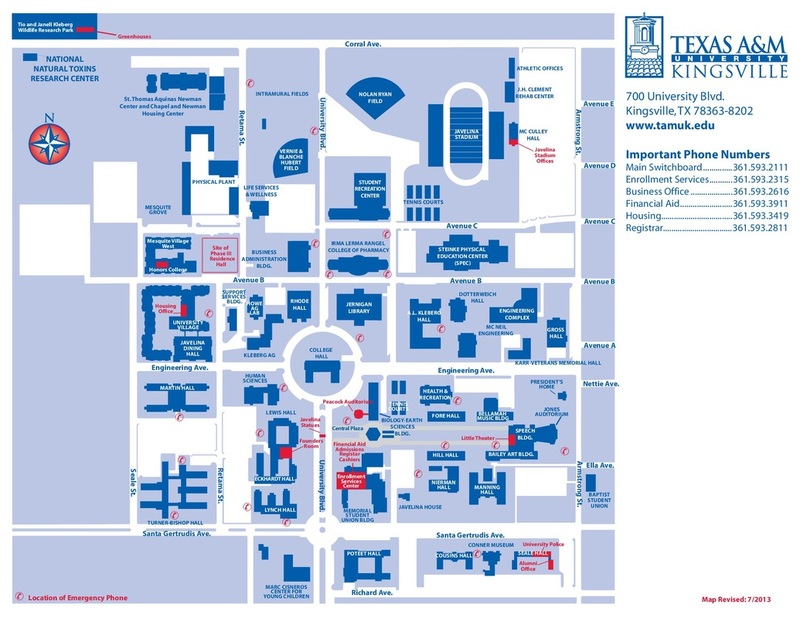 The music building is located on the E part of the map on Engineering Ave. The Student Recreation Center is NW of the music building on Avenue C.
Tuner/Bishop dorms are located SW of the music building on Santa Gertrudis Ave.
Jones Auditorium is right next our music building. The Javelina Dining Hall is North of the dorms on Engineering Ave.